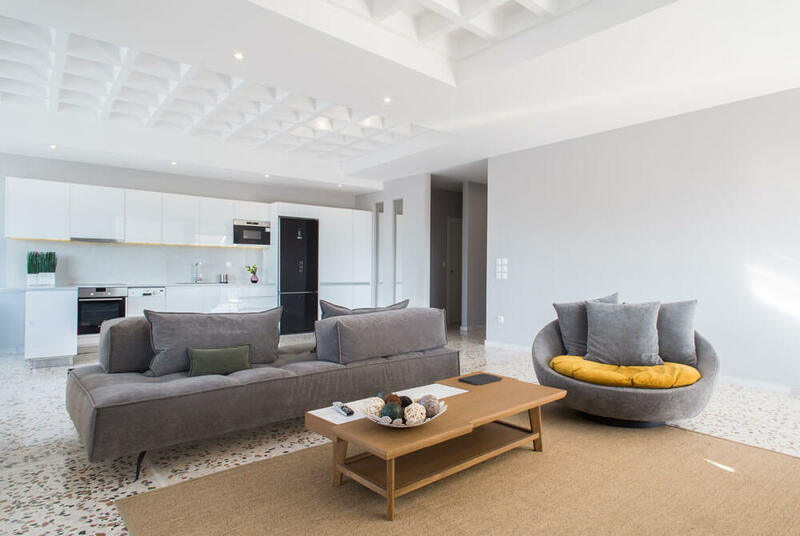 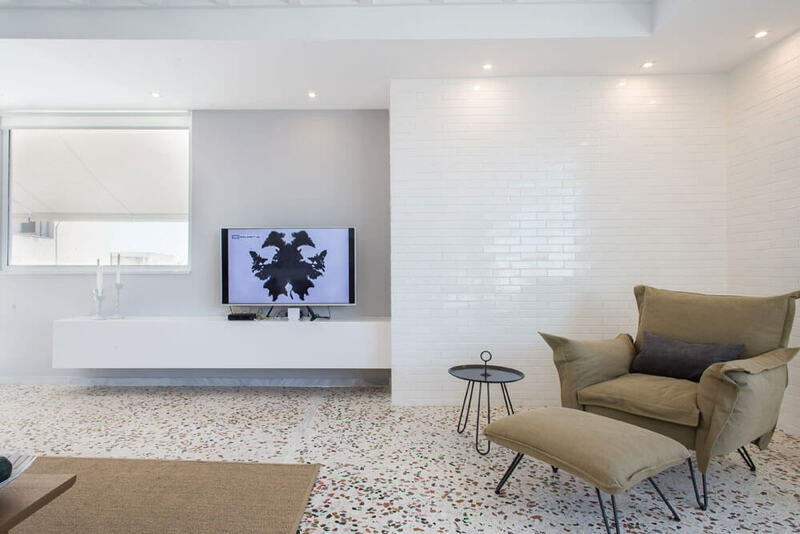 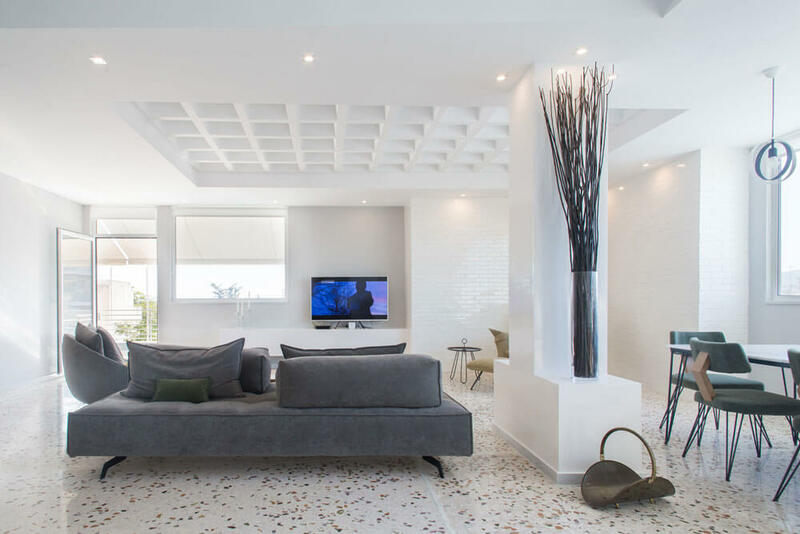 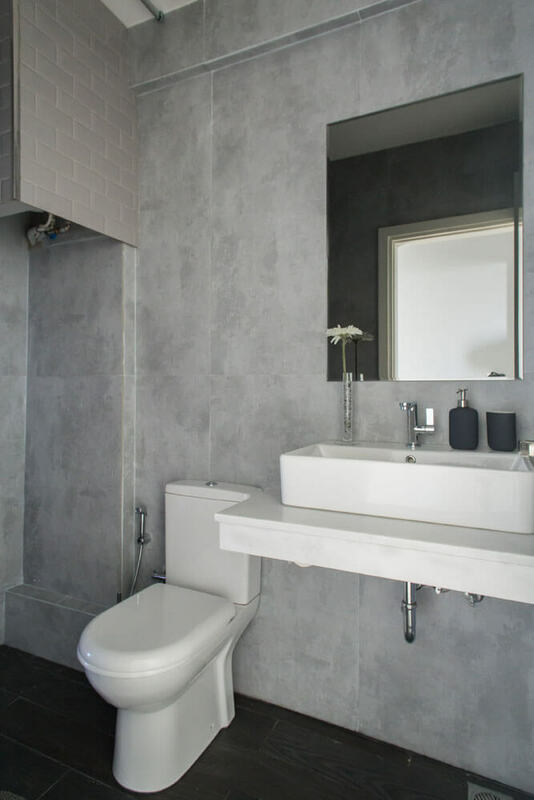 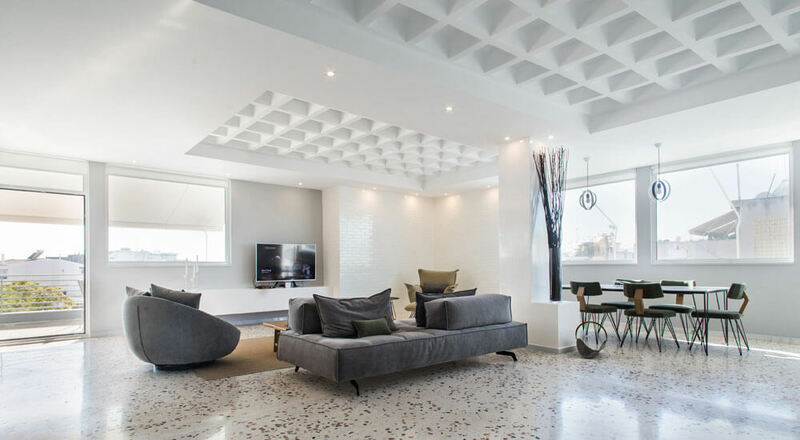 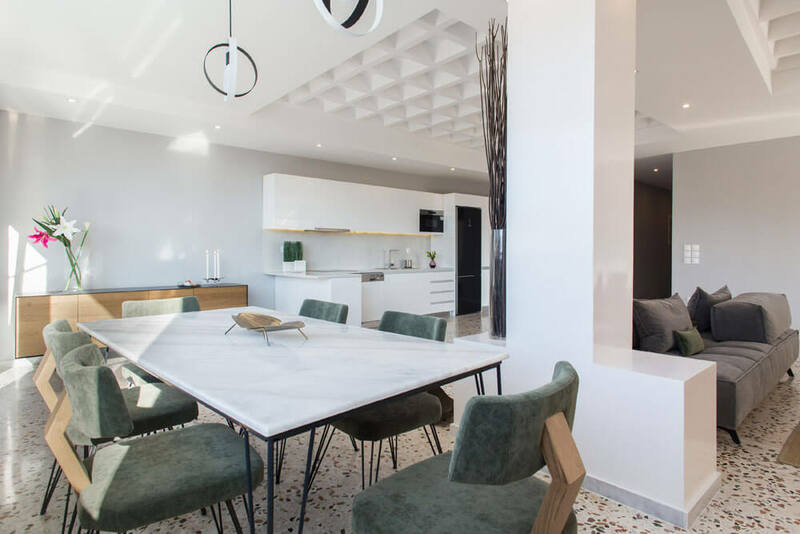 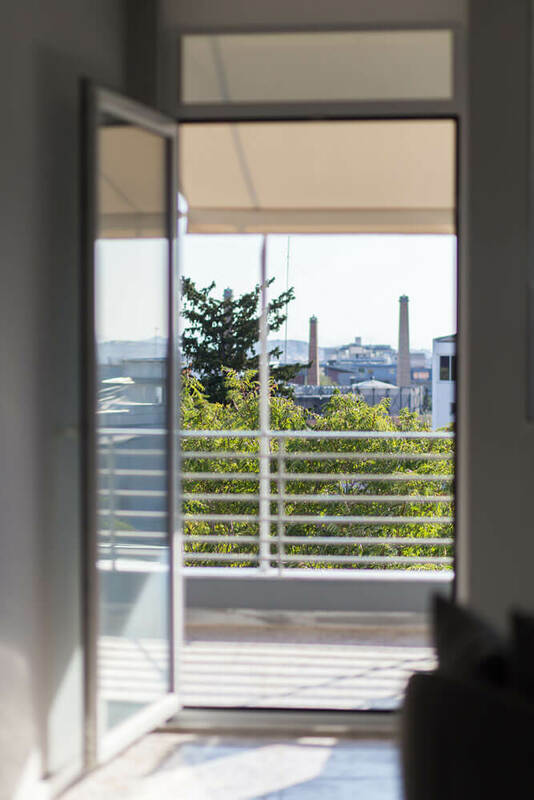 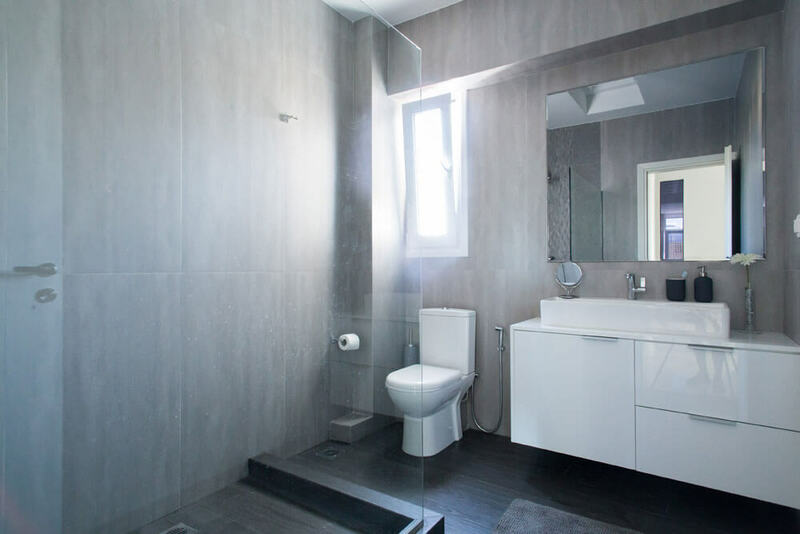 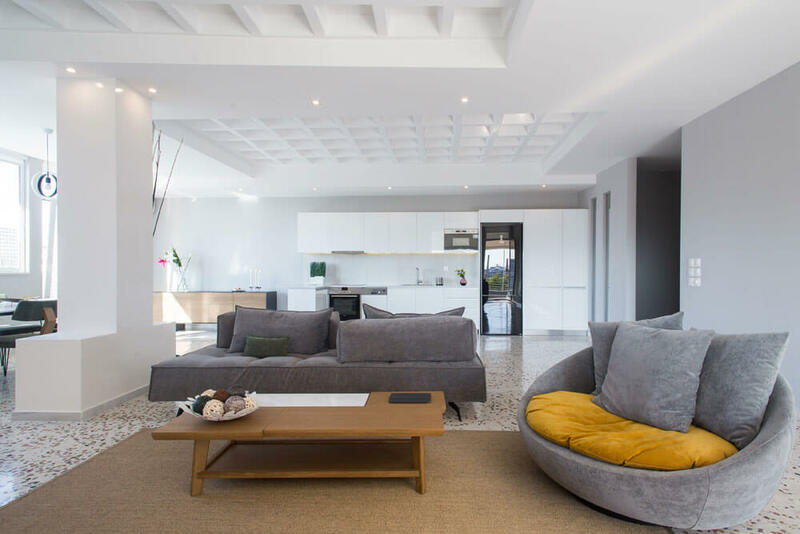 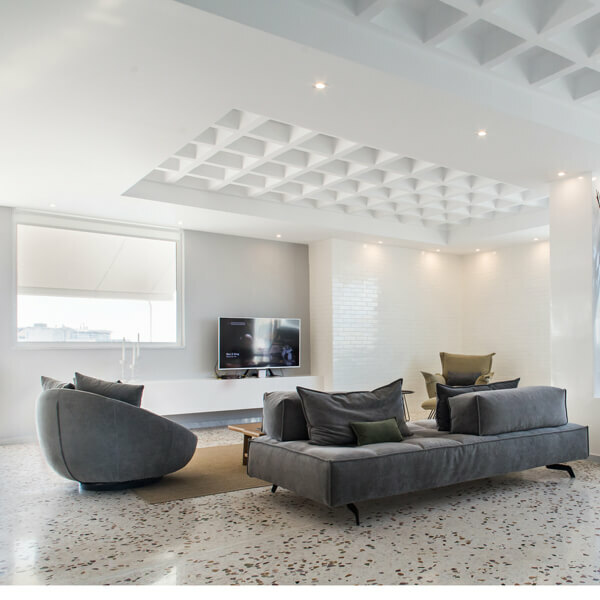 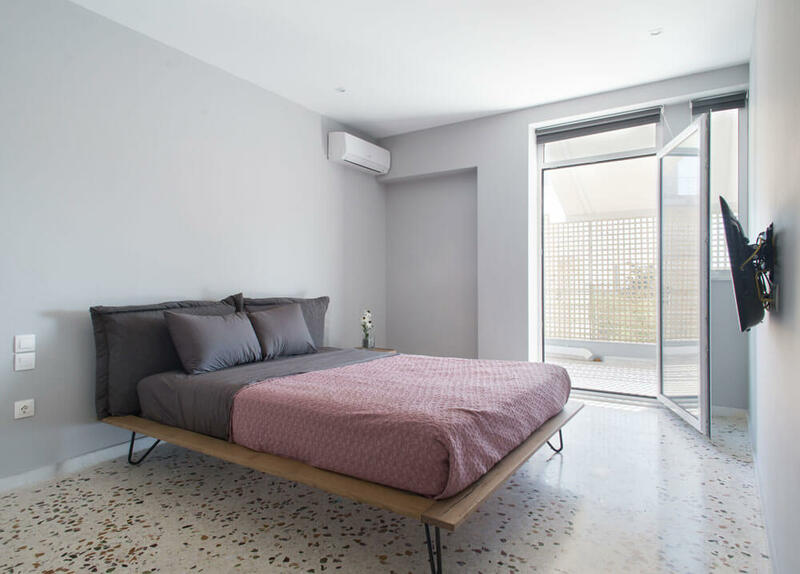 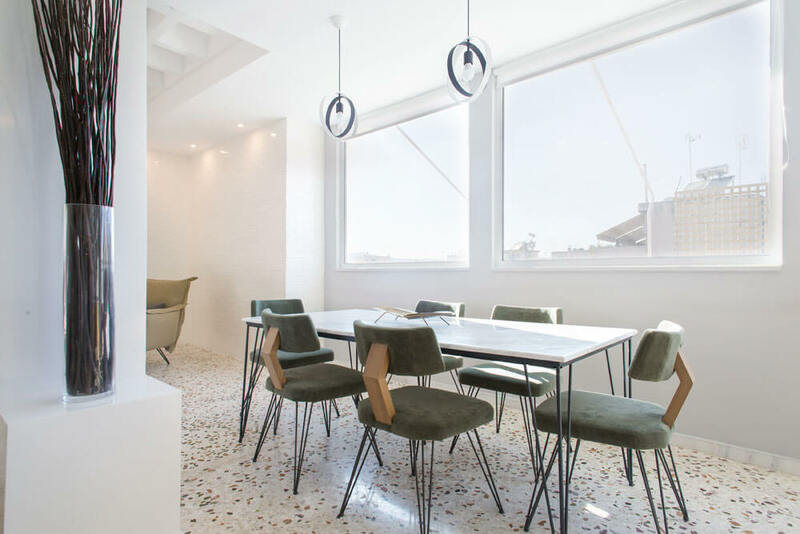 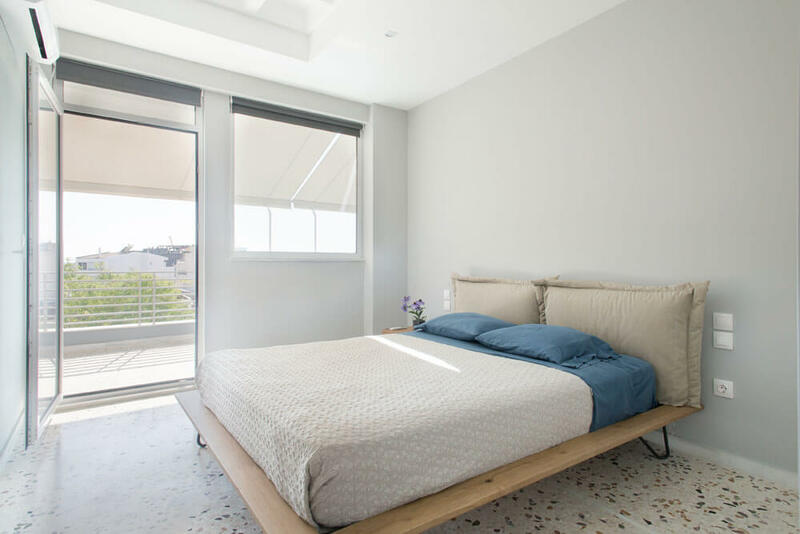 The client engaged FORMA long distance from Athens, Greece, to help in the transformation of a raw space with high concrete ceilings and beautiful daylight into a 2- bedroom / 2-bath modern pad in the center of Athens, 5 minutes from the Gazi area. 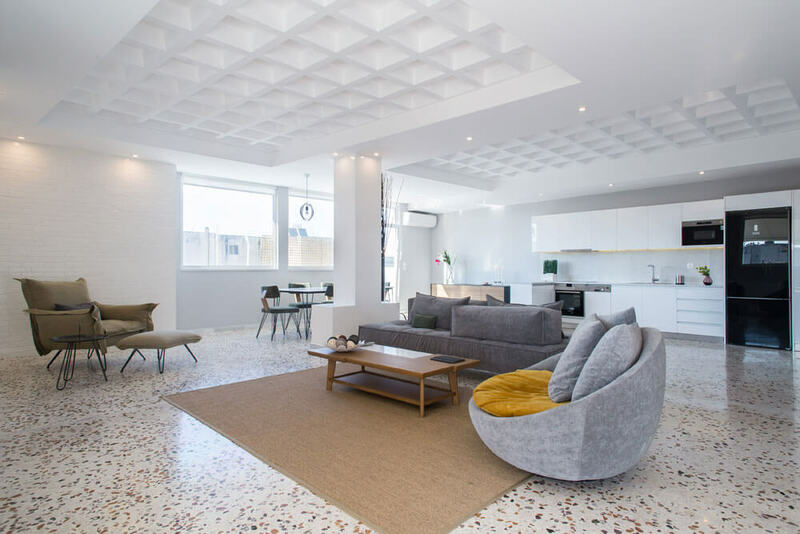 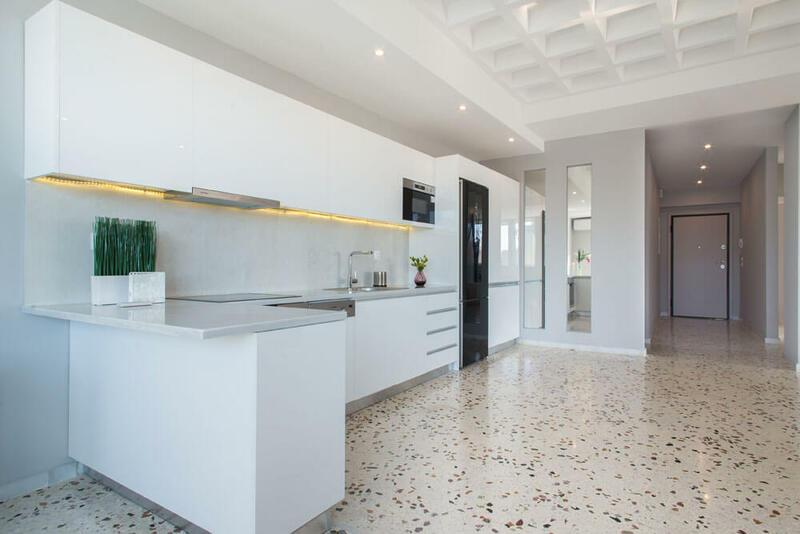 Beautiful original terrazzo floors were restored, and large swatches of the original concrete waffle ceiling were retained in each area, while dropped drywall ceilings allowed for the discreet introduction of LED downlight and coves. 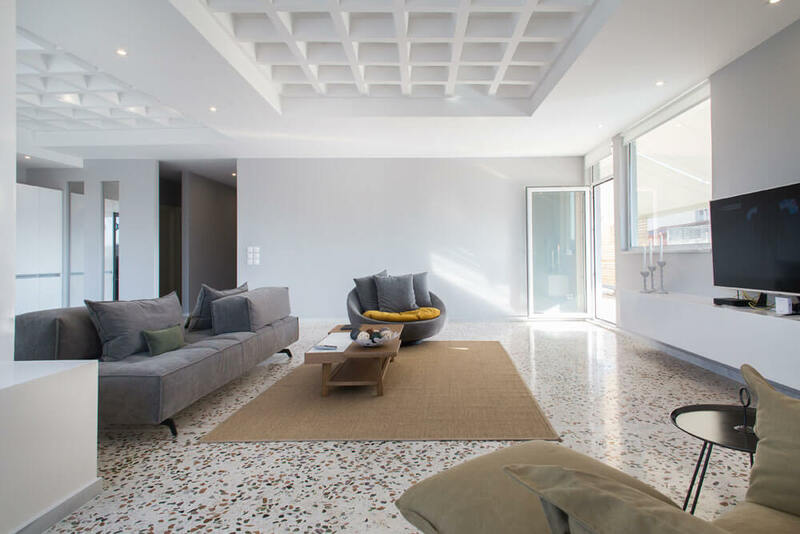 The furniture, all hand made in Greece, has a touch of mid-century modern, and match the color of the terrazzo chips. 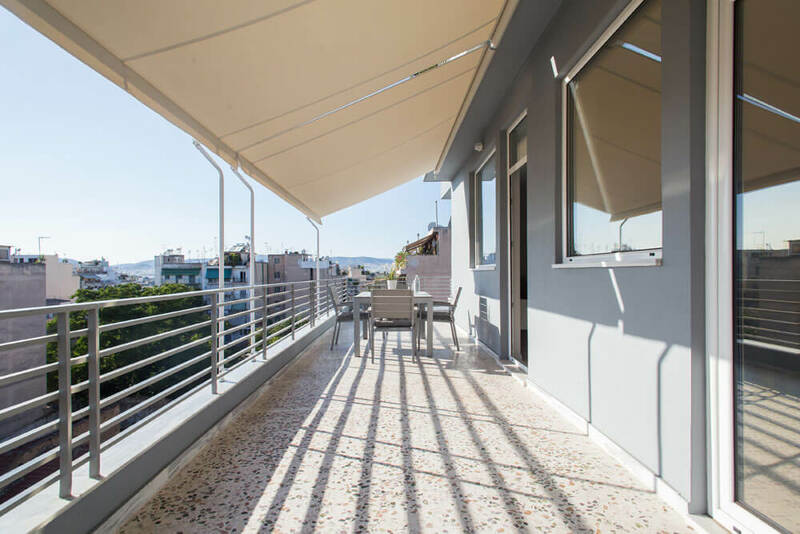 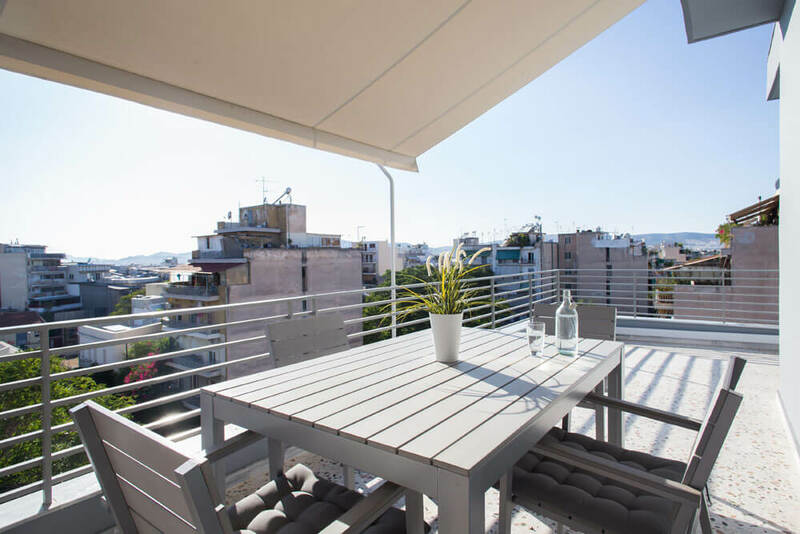 The wrap around balconies allow city views with Athenian sunsets.